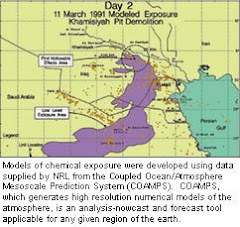 (91outcomes.blogpost.com) - A scientific study by Paul Cox, Renee Richer and their colleagues being published this month suggests that microscopic toxins and bacteria contained in the dust of the Persian Gulf region may be spike in ALS that occurred among veterans in the first several years that followed the 1991 Gulf War. Cyanobacteria, or blue-green algae is one of the components of the desert sands in the Persian Gulf region, particularly Qatar, according to the researchers. When the sand is disturbed by military vehicle and other man-made activity, the cyanobacteria-containing dust becomes airborne. 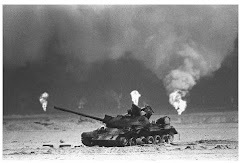 The study authors found that it was biologically plausible that airborne dust particles containing cyanobacteria, accompanied by cyanotoxins, including one in particular – BMAA – could be at the root of the ALS spike among veterans of the 1991 Gulf War. We suggest that inhalation of BMAA, DAB, and other aerosolized cyanotoxins may constitute a significant risk factor for the development of ALS and other neurodegenerative diseases. LINK to the study abstract.